Correspondence courses are classes conducted across geographical distance. This is is a pretty straightforward definition. However, there are much more components that forge a correspondence course. If you think this form of learning has been made possible with the advent of Internet you couldn’t be more wrong. The idea of removing a geographical component in the education process is not new. One of the earliest attempts to organize a correspondence course dates back to 18th century. 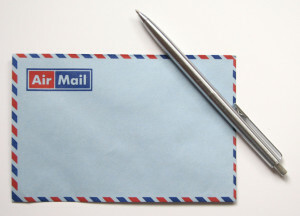 The original correspondence courses were carried out through the postal service. Teachers would send assignments and lecture notes to students, who would return essays and projects for grading. Colleges and universities in the USA and all around the world offer correspondence courses. Most correspondence courses today take place over the Internet, but the concept is pretty much the same. Students get the chance to learn new skills or earn credits without physically attending the school. Online correspondence courses are increasingly becoming the most popular way to organize and carry out distance education. Internet and computers have become ubiquitous in our lives. This led to an evolution of distance learning. Participating in an online course is much easier and faster these days. There are virtual schools and virtual universities delivering full curricula online. Endless possibilities of the Internet (e.g. voice, video and text transferring) made earlier forms of distance learning via telephone, video conferencing, radio or television, pretty much redundant. All correspondence between instructor and students or between students takes place through e-mail, message boards or virtual learning systems. Class materials are typically available for download or via stream. If textbooks are used, they can typically be purchased through the college or university bookstore or through online stores. Some colleges and correspondence schools around the world offer usage of print materials for correspondence courses. Students usually get a textbook and study guide for their self-paced learning. Colleges or university offering courses that way usually supply their students with books and other necessary study materials. Assignments are typically mailed, faxed or, if possible, dropped off on campus to course instructors. In some correspondence programs, tests are administered on campus or at a proctor site. Many students enjoy the flexibility correspondence courses offer. Others can’t afford to be enrolled in classic brick and mortar school. Such are those working full-time. Correspondence courses are classes conducted across geographical distance. One of the earliest attempts to organize a correspondence course dates back to 18th century. The bottom line is following: there is typically no set schedule for correspondence courses. This allows students to complete assignments at any time they choose and to work at any pace they can manage. However, these classes may have a maximum time limit when students must complete the class. This is most common for classes where the student can earn college credit. Correspondence courses give students the luxury of working from home or anywhere they feel most comfortable. One of the bigger advantages correspondence courses offer is eliminating transportation fees. This certainly reduces the overall costs of education. There are of course some disadvantages when taking correspondence courses. For one, they usually don’t offer any direct face to face human interaction. Another issue is with finishing the course and getting a certificate as a result. Taking correspondence courses require a lot of motivation and willpower. Discipline is definitely one of the key components in a successful completion of the course. Having said all that, there are people that don’t have many alternatives to correspondence courses. They are in fact a great way to learn. And yes, correspondence courses can, in fact, increase your skills and make you more employable.